Transport moves on the bridge, summer day in Dublin. 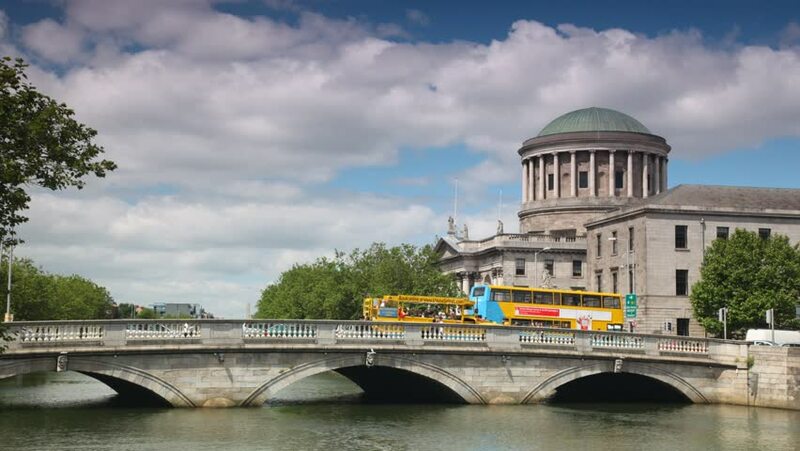 River Liffey and Four Courts building in Dublin, Ireland. Time lapse.